We have a pulse on the needs of our community. Our investment decisions are guided by research conducted through a comprehensive Community Needs Assessment and ongoing Community Report Cards, helping to ensure long-term transformation in our community. Our key focus areas are the building blocks of life. The success in one area relies on the success of the others, requiring a comprehensive and collaborative approach to solving community issues. Helping children reach their full potentialpreschools. 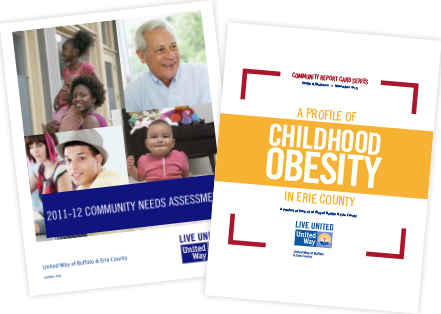 United Way’s Advocacy Committee represents our region by advocating for a clearly defined set of health and human services issues to drive policy change at the federal, state and local levels. We promote the support of critical legislation by working closely with policymakers, the business community, service providers, and engaged citizens and volunteers who share our common goal of addressing community need.